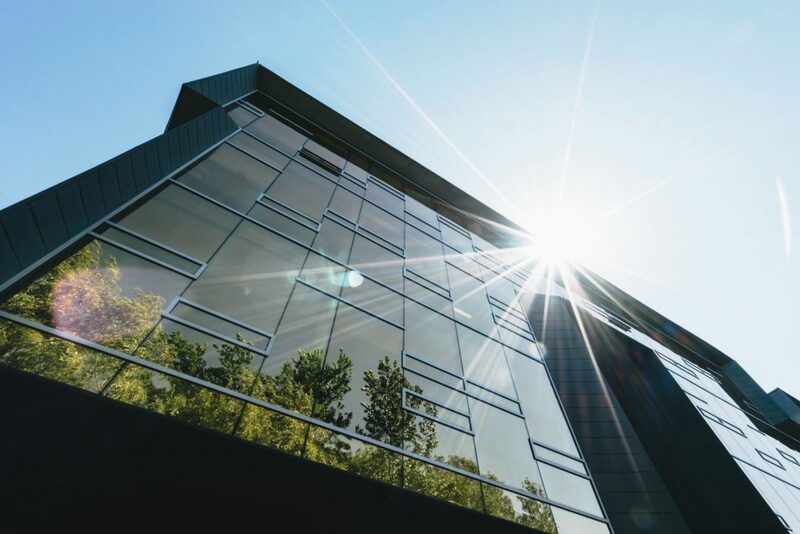 We recently came across an article on Ecopreneurist that discusses how window film can be part of your business embracing green building technology to cut business costs while going green. Most business and building owners would like to adopt green building strategies as it is beneficial for the environment, but the cost of many of these technologies are often prohibitive when taking the bottom line into consideration. This is what makes commercial window film so attractive. This technology not only helps a building operate more efficiently, it often pays for itself in just a few years through utility cost savings. If you would like to learn more about how window film can bring your business into the green building movement in a cost effective way that makes sense on the bottom line, click HERE and contact us today by calling 918-812-0953 or emailing us by clicking HERE. We would be happy to provide a free, no obligation consultation and estimate of implementing a window film solution into your space.